Antioxidants in our diet are seen as a possible preventative method of limiting the risk of cancers caused by iron found in red and processed meats. Recent studies suggest that dietary iron consumption may be associated with a high risk of breast cancer. 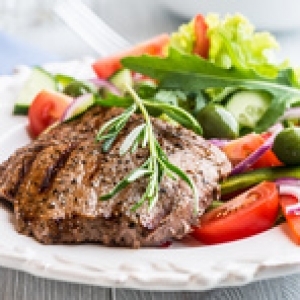 These new results reinforce those already obtained in 2015 by Inra researchers at Toxalim Research Centre in Food Toxicology, who demonstrated that the heme iron of red meat was a crucial factor in the promotion of colon cancer (1). A recent study by INRA / Toxalim and Inserm researchers published in Oncotarget (2) shows, with data of the he SU.VI.MAX study (SUpplementation in VItamins and Anti-oXydant Minerals), that an antioxidants' rich diet can be effective in limiting this risk.